Sidney Jones is something of an "X factor" for the Eagles at corner. Philadelphia Eagles camp battles in 2018 won’t be like the old days, where you could easily identify four or five positions that were up for grabs. In the past, Eagles camp battles were typically comprised of a couple of players competing for a starting job, because neither player was good enough to be thought of as the clear starter. 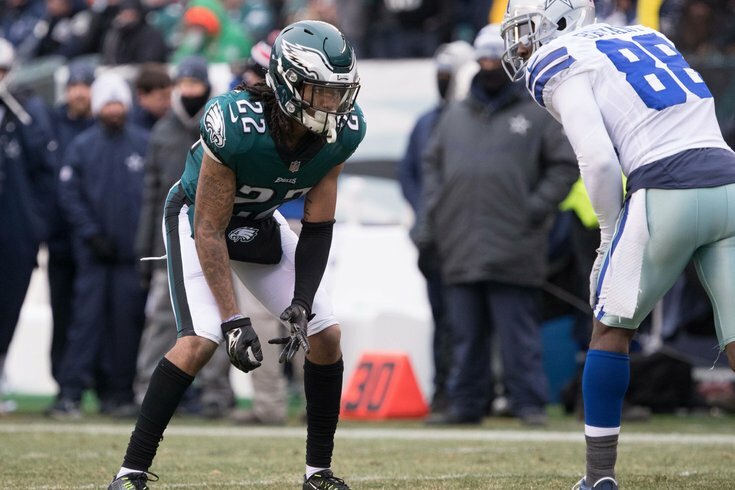 If the season began today, Jalen Mills and Ronald Darby would likely be the outside starters, with Mills kicking inside to the slot in nickel, and either Sidney Jones or Rasul Douglas playing on the outside. That said, Jones shouldn't be counted out as a starter on the outside. Prior to the 2017 NFL Draft, Jones was thought of by many as the best corner in the draft before he tore his Achilles and subsequently slipped to the second round. If Jones has a stellar camp, he could force a situation in which the Eagles simply can't keep him off the field. To be clear, we're not predicting that, but it's reasonable to believe that Jones could make that happen. On a side note, as we have noted previously, Jim Schwartz isn't afraid to let rookie cornerbacks play, so don't count out 2018 fourth round pick Avonte Maddox out at the slot corner spot as well, though that's more of a long shot. You know a team's roster is really solid when one of the positions of focus will be the fourth running back. Jay Ajayi, Corey Clement, and Darren Sproles are locks to make the roster, so the fourth running back spot will be a competition between Donnel Pumphrey, Wendell Smallwood, newly acquired free agent Matt Jones, and undrafted free agent Josh Adams. A year ago, Clement was competing for that fourth running back spot, and he ended up with 100 receiving yards and a touchdown in the Super Bowl. After losing Trey Burton to the Bears in free agency and cutting Brent Celek, the Eagles needed to bolster their depth at tight end. In free agency, they added former Packers tight end Richard Rodgers, and drafted Dallas Goedert in the second round. What they're saying: Wentz for 2018 MVP? I have Goedert penciled in as the No. 2 tight end right off the bat. If he can't beat out Rodgers, that would be an alarming development, but it's still a battle worth watching. With Timmy Jernigan likely to miss the start of the season after undergoing back surgery, defensive tackle has become an important spot. The Eagles signed Haloti Ngata this offseason, so he'll likely fill in as the starter on early downs, with Michael Bennett filling in on obvious passing downs. Destiny Vaeao has provided depth in the past, but he's sort of "just a guy." The Eagles also have 2017 sixth round pick Elijah Qualls, who is more run stuffer than pass rusher, and intriguing undrafted DT Bruce Hector, who is more pass rusher than run stuffer. The Eagles would love to see two of those three guys show something this spring and summer. I remain steadfast in my belief that the Eagles will should re-sign Corey Graham at some point, but it is certainly interesting that the Eagles signed four undrafted free agent safeties, in Jeremy Reaves, Stephen Roberts, Ryan Neal, and Dominick Sanders (who the team released this past week). Signing four undrafted safeties is not ordinary. If the Eagles don't sign a veteran safety, they'll have those three remaining undrafted safeties competing with 2017 undrafted safety Tre Sullivan for the third spot behind Malcolm Jenkins and Rodney McLeod (that is if you view Chris Maragos as a great special teams guy only, as I do).